My name is Sheryl Ilene Newcomb. And yes, my initials are S.I.N. A funny little piece of whimsical humor my parents found amusing when I arrived. Then, it turned out to be true. Looking back with wiser eyes now, my family and I concluded that the events leading up to my transformation started the summer I turned nine. But the day we realized there was a problem, and no turning back, was a week before I started my senior year at Junction City High. The day the fangs and claws appeared and the monster inside of me emerged. heard by every living thing in Locasia County, Mississippi. It was all over—for now. The ending completed, and the living nightmare of what happened in our sleepy little town nothing more than a permanent stain embedded in my mind and body. I stared at the words on the page, the white paper covered in bright blue ink. The empty pages behind it waited, impatient for me to add more. They sat in mocking silence on the desk in front of me. A twinge of apprehension slithered up my back. During the last three months, I thought I’d done a decent job of stopping the memories. None of what happened was something anyone could be prepared to endure. No longer did the vile sounds and unbelievable images pop up during the middle of the day. I felt a sense of pride I stopped them without the use of medication. With the support of my mom and dad and the Lord above, I worked daily to bury the horrific events. I shivered at the disturbing recollections. When the crystal clear images of the final battle exploded inside my head, they turned my slender torso into a shivering pile of goose bumps. I was unable to stop the screams of agony and anger when my mind replayed the events at night. Physical and mental anguish would slam into my body and soul as I fought not only the animal inside of me, but the one that stared at me from inside my mind. The eerie visions of the final confrontation were as terrifying in my mind’s eye as the actual day they occurred. Dark, jade-green eyes lit from within bored through my own with their anticipatory killing stare. The growl from its furry throat would seem as loud in my memories as it did when it happened. The flexed muscles of the creature jerked in its readiness to shred me down to a bloody pile of mush. The bright moon’s rays shimmered off of its stark white fangs. One swipe of the enormous paw or bite from the strong jaws would end it all. My cries of sorrow erupted at night when the images of the dismembered corpses appeared inside my mind. They were seared into my memory banks. I hadn’t experienced a moment of heart-stopping, frozen-to-one-spot freakouts in two months during the daytime. I whittled them down to only haunting my dreams at night. age, but I felt safe in my adolescent bedroom. It was my territory. But I also knew it would become my prison if I didn’t learn to live outside its four walls again. Like a normal, sane person lives. A quiet snicker from my lips bounced off the walls of my room. Sanity. Normalcy. Those ships sailed away eons ago, pulled under the dark waters of the mighty Mississippi River, never to be seen again. Readers beware…you will find no spoilers in my review. It goes against my policies so I will only highlight my thoughts on the book. I was initially captivated by what promised to be an interesting storyline, but as I kept reading I realized that the plot was likely to deliver something fascinating. Let’s just say I was not disappointed. We initiate the story with a frightened little girl who slowly, but surely begins to live a nightmare. Her life is catapulted into a train of terror, which she can’t understand. The more the mystery grew the more I kept turning those pages. I love how well of a picture the author painted for me. I really enjoyed how I could completely drown in this book and feel as if I was part of the tale myself. With every twist and turn I found myself even more immersed in Growl, and the Native American lore tossed in only added to the allure of the book. The ending, yes, it was as shocking to me as it was welcomed. I didn’t see it coming though I tried to guess what would happen next. Overall, I give Growl a big two thumbs up. Her short thriller entitled Number Seventy-Five, touches upon the sometimes dangerous world of online dating. Number Seventy-Five took home the BRONZE medal in fiction/suspense at the 2013 Readers’ Favorite International Book Awards contest and is currently in production for a feature film. Her paranormal thriller entitled The Lie, won the GOLD medal in the 2013 Illumination Book Awards for fiction/suspense and is also in production for a feature film. The suspenseful mystery Empty Shell, released September 29, 2014. 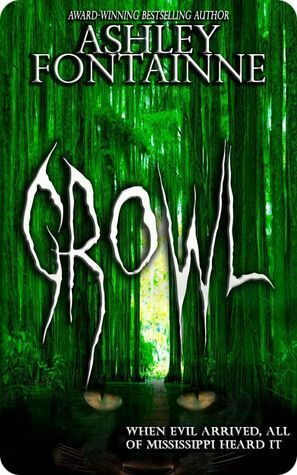 Ashley then delves into the paranormal with a Southern Gothic horror/suspense novel, Growl, scheduled for release in the Spring of 2015. 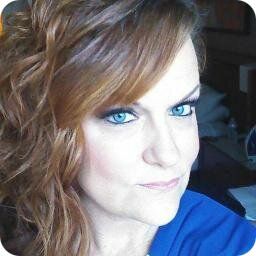 Plus, she will be teaming up with Lillian Hansen (Ashley calls her Mom!) to pen a three-part murder mystery/suspense series entitled The Magnolia Series. The first book, Blood Ties, is due out the Summer of 2015.
night at 10 p.m. CST. Connect with Ashley on Facebook and Twitter. Find out more about Ashley at Goodreads.